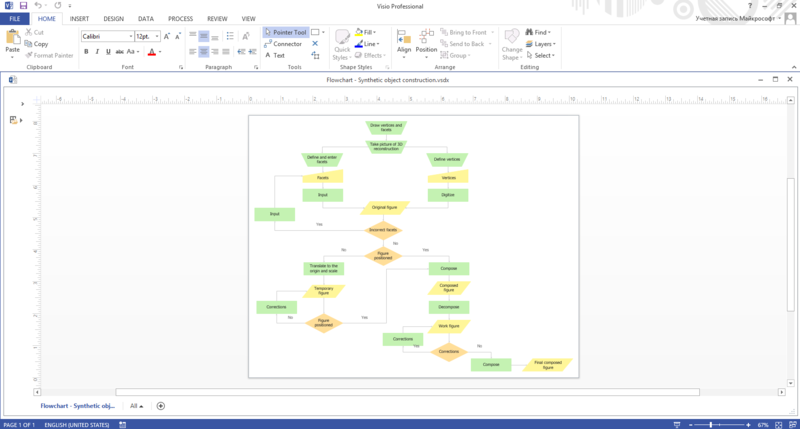 A flowchart is a type of diagram used for designing, analyzing, documenting and managing the processes and programs, it lets visually represent an algorithm, workflow or process using the boxes objects to show the steps and connecting them with arrows, and applying a diamond symbol to represent a decision. 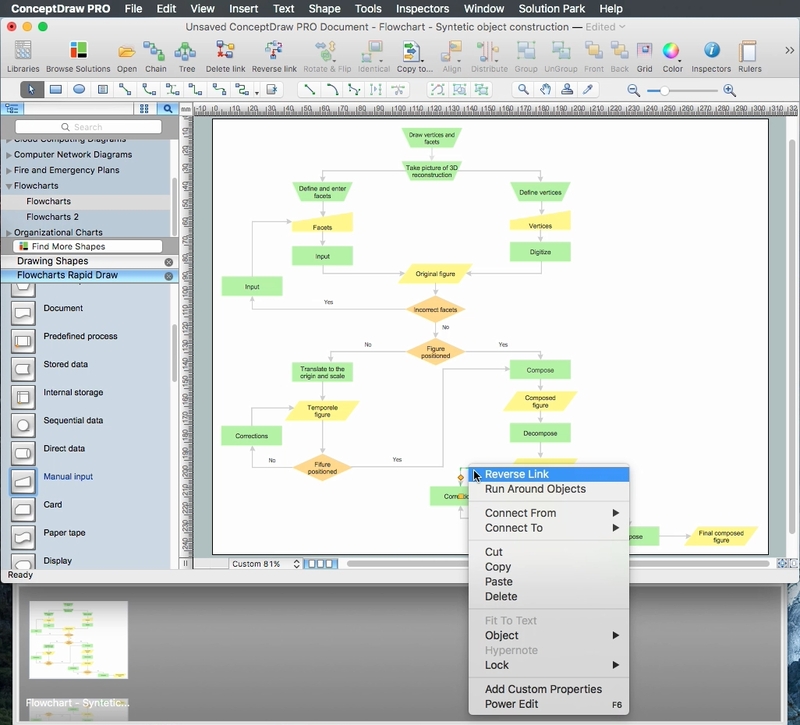 The ConceptDraw DIAGRAM is a professional software for quick and easy building great looking flowcharts of various types and any degree of complexity. 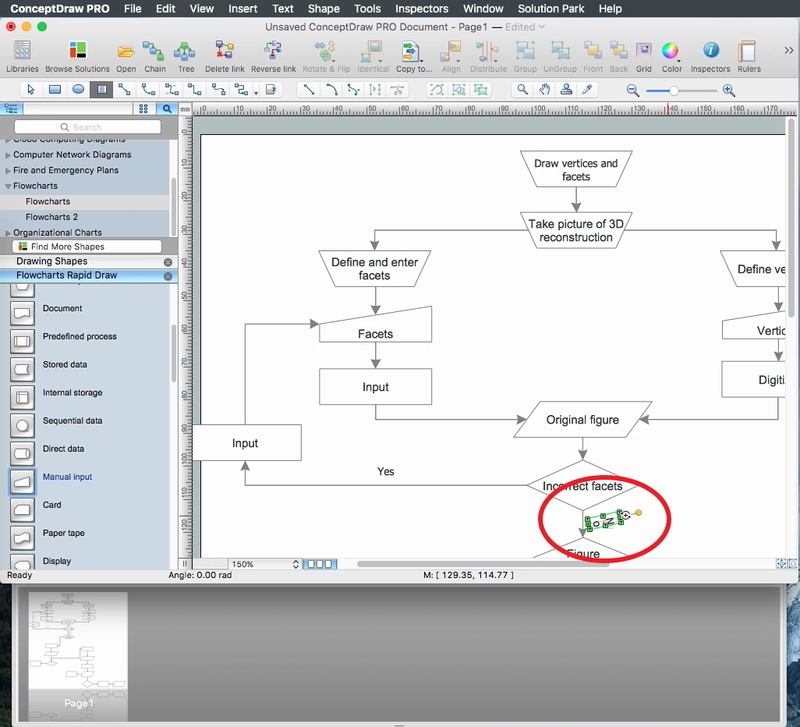 An important role at the simplicity of drawing the flowcharts plays the ConceptDraw's RapidDraw technology which lets to add the objects with just a single click and create professional-looking flowcharts in a few steps. The vector stencils from the object libraries allow you to use the RapidDraw technology. 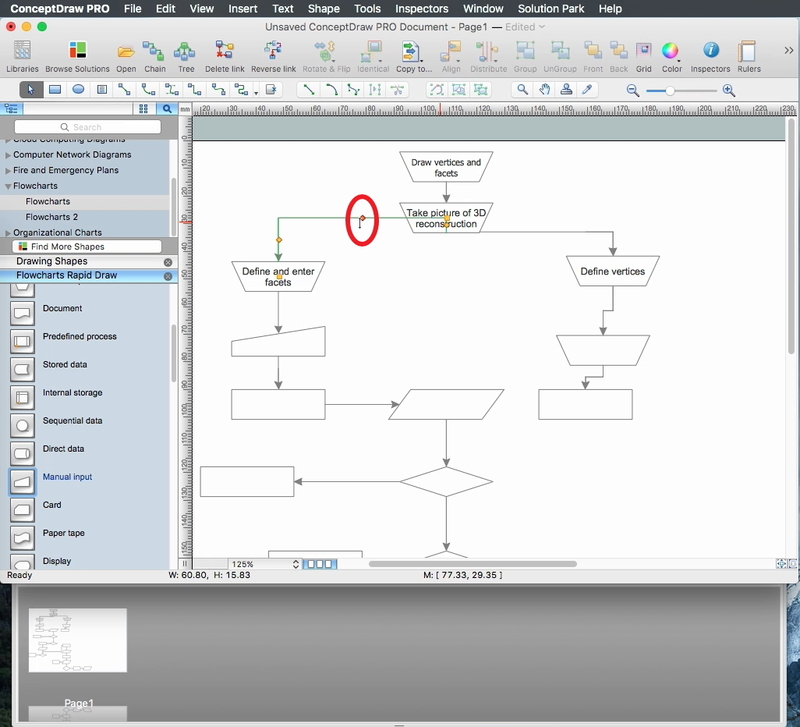 By clicking on direction arrows one can add new object to flowchart. 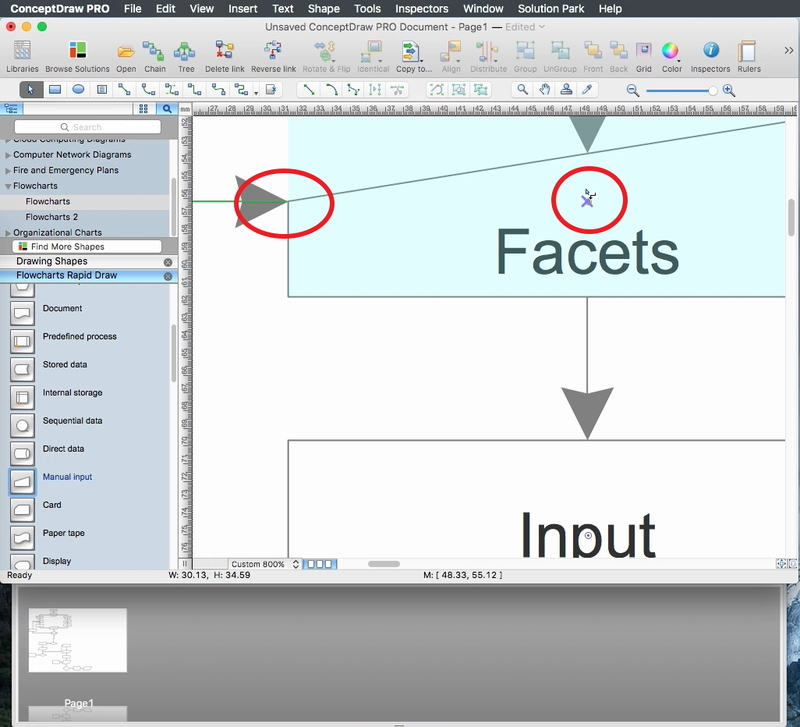 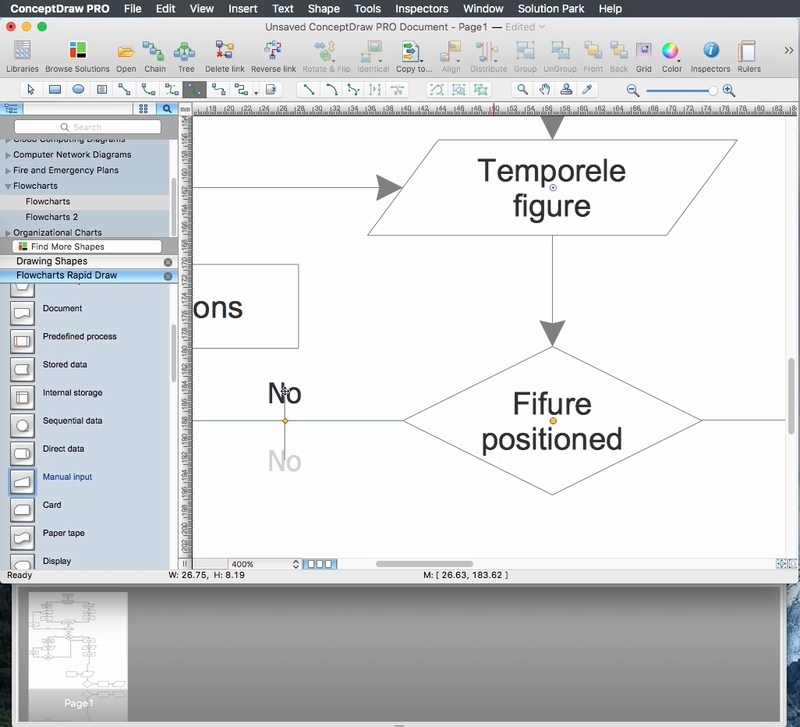 This technology gives to ConceptDraw users the ability of fast creating visualization for the structural data. 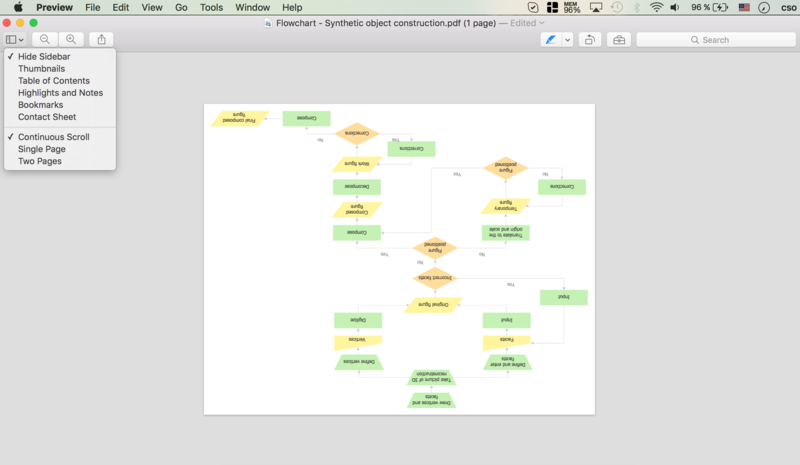 All exporting commands are available at ConceptDraw DIAGRAM from the File menu. 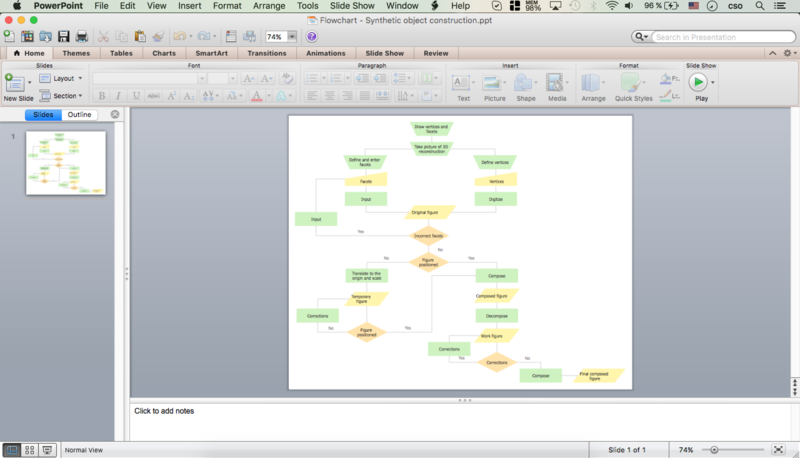 You can immediately apply them when your Flowchart is ready. 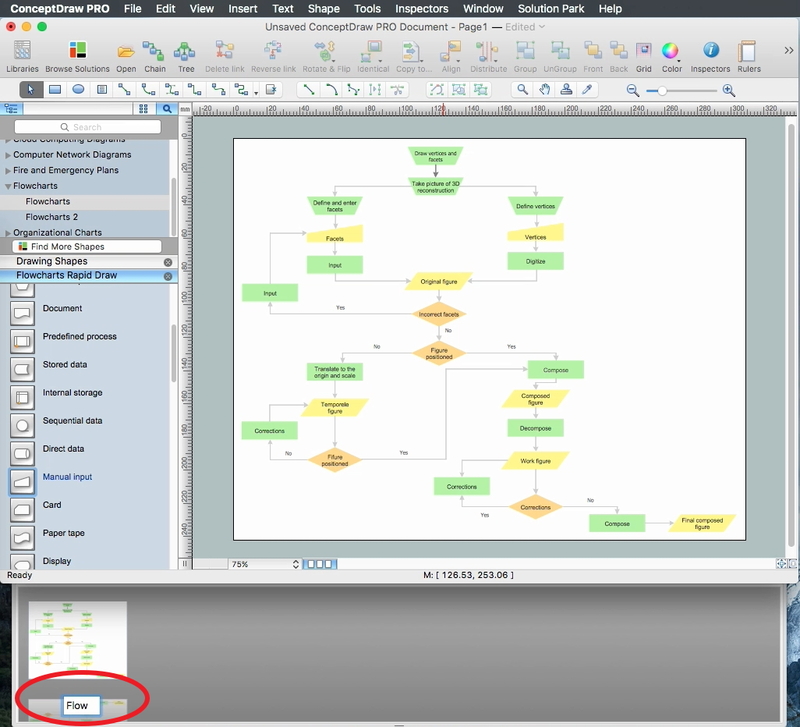 Now, you can fast and easy create your Flowcharts with powerful ConceptDraw DIAGRAM software. 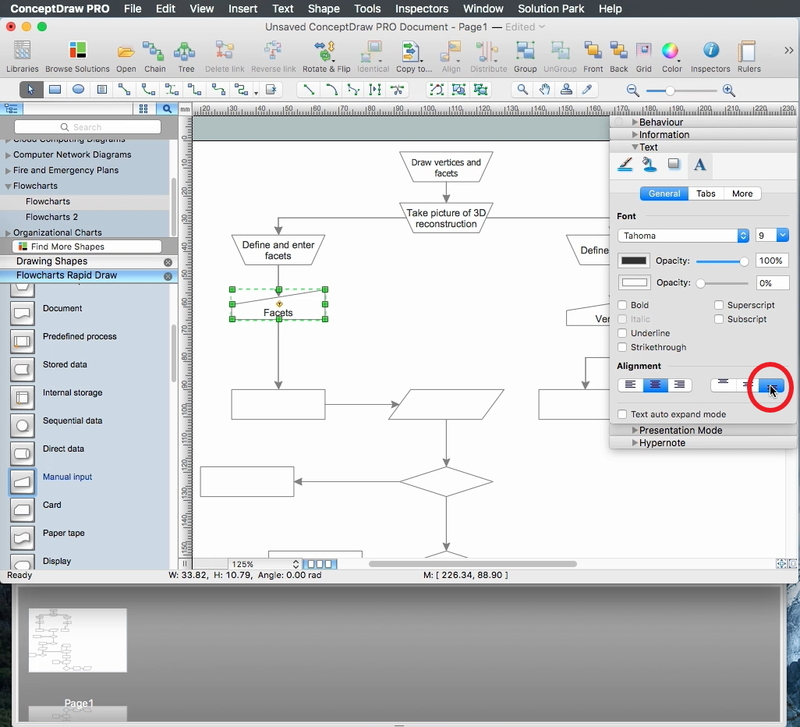 And thanks to the wide export capabilities effectively collaborate and exchange information with other people, demonstrate your Flowcharts to wide auditory and your colleagues, even if they don't have the ConceptDraw DIAGRAM software. 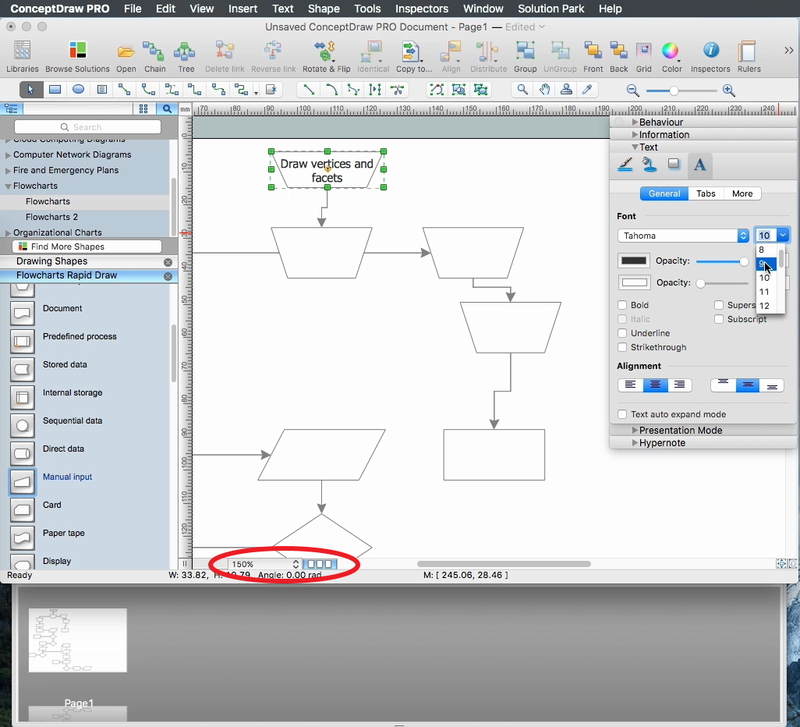 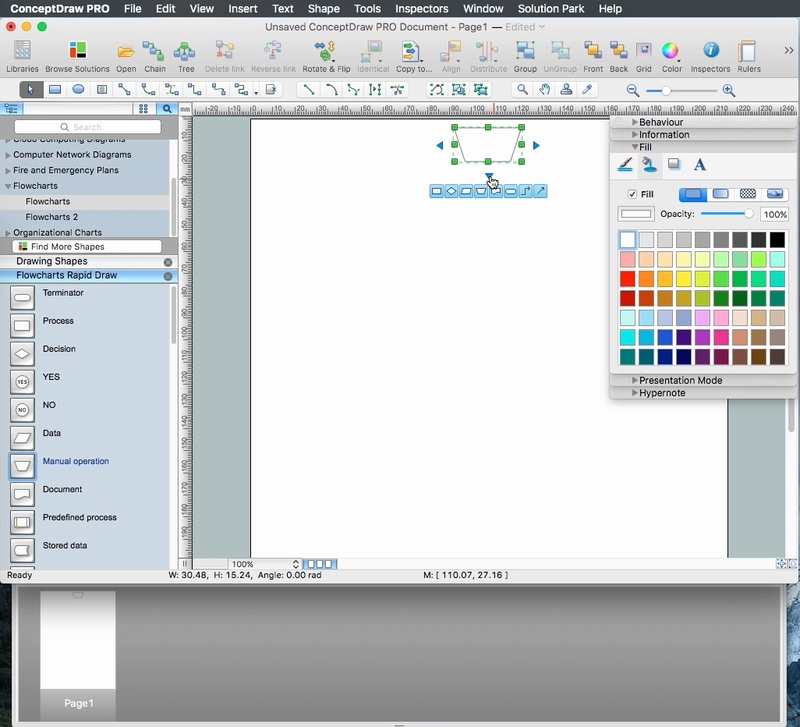 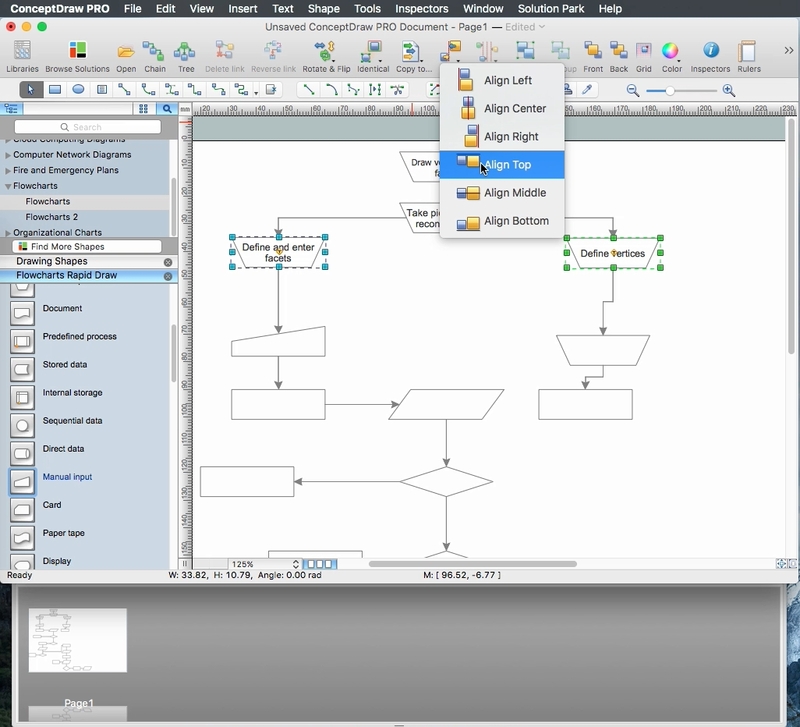 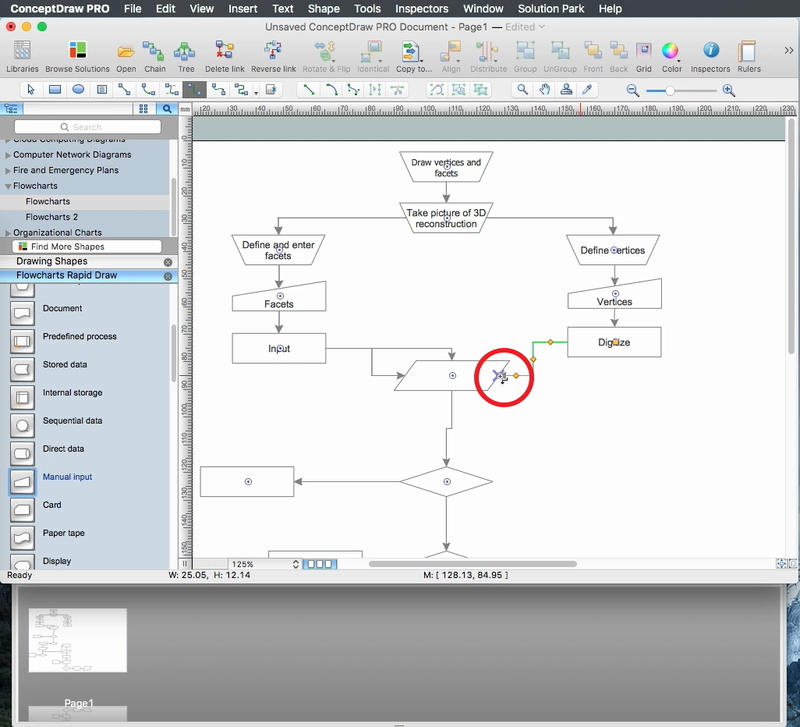 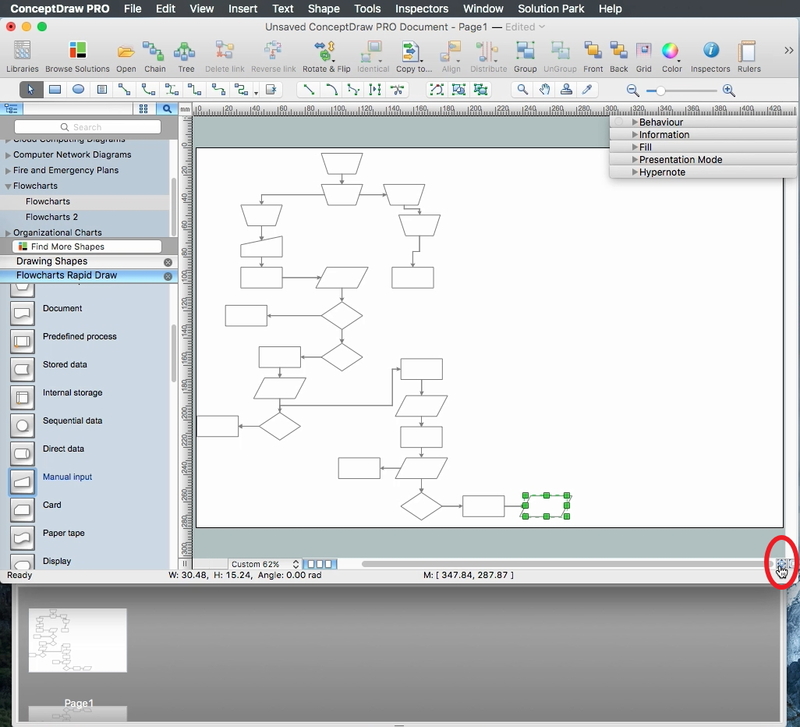 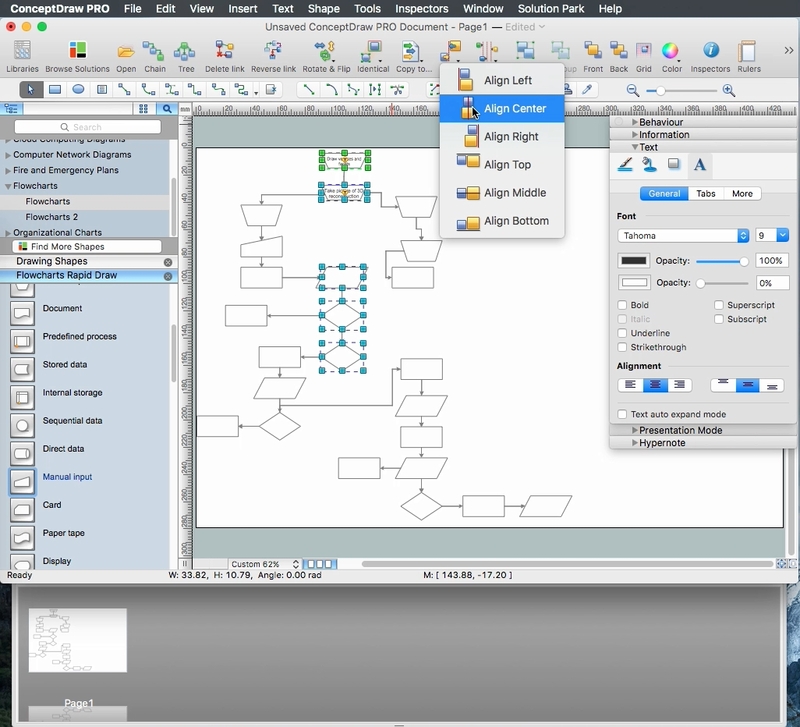 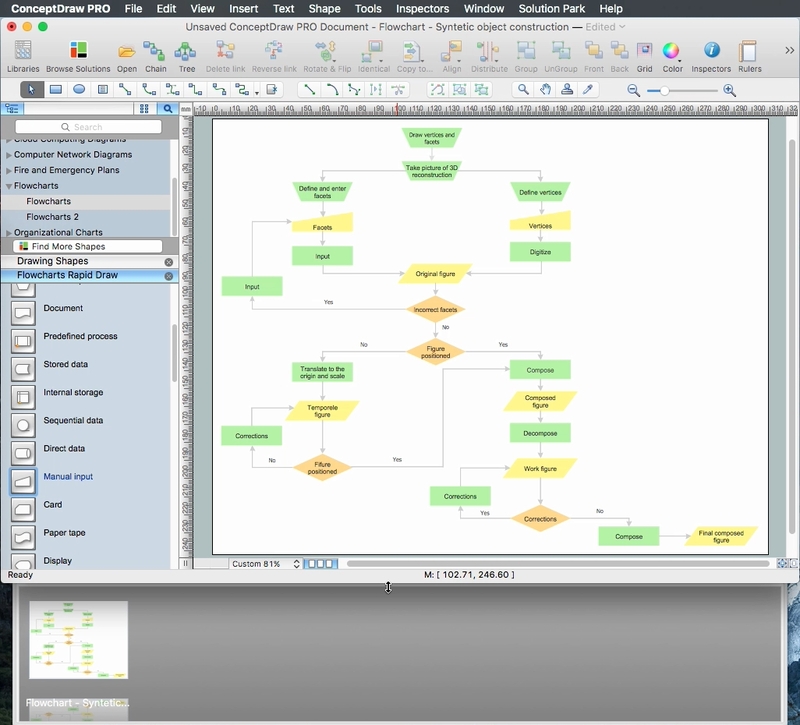 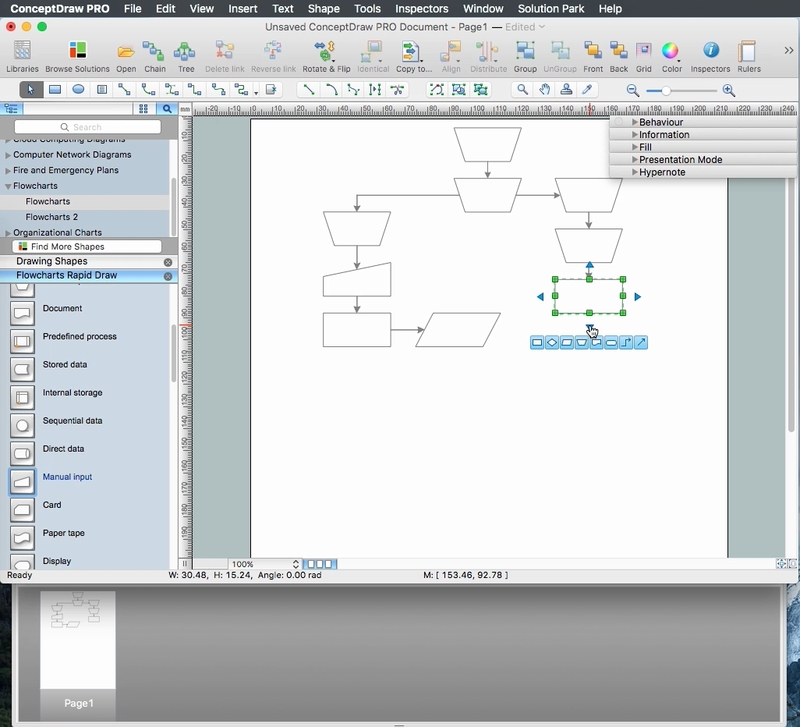 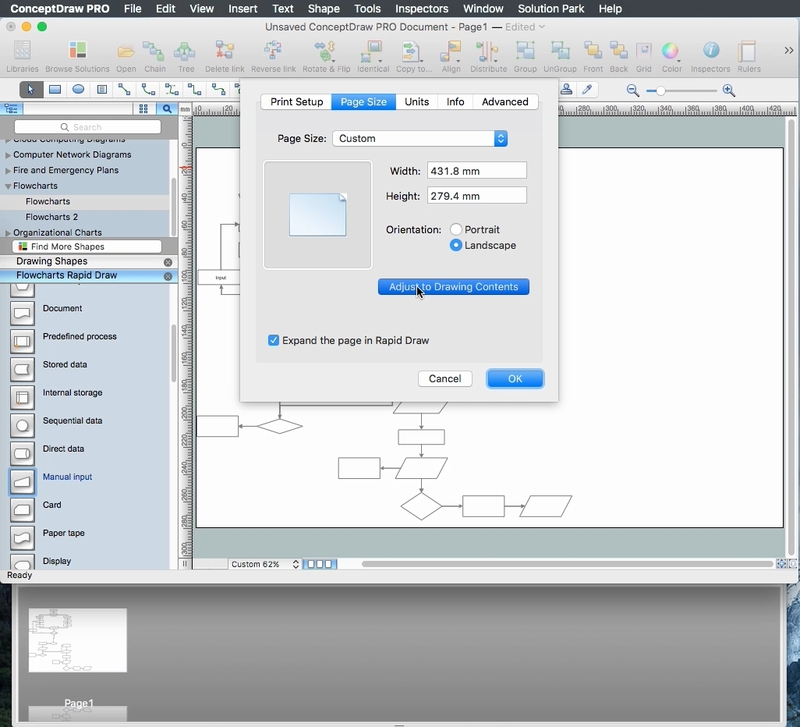 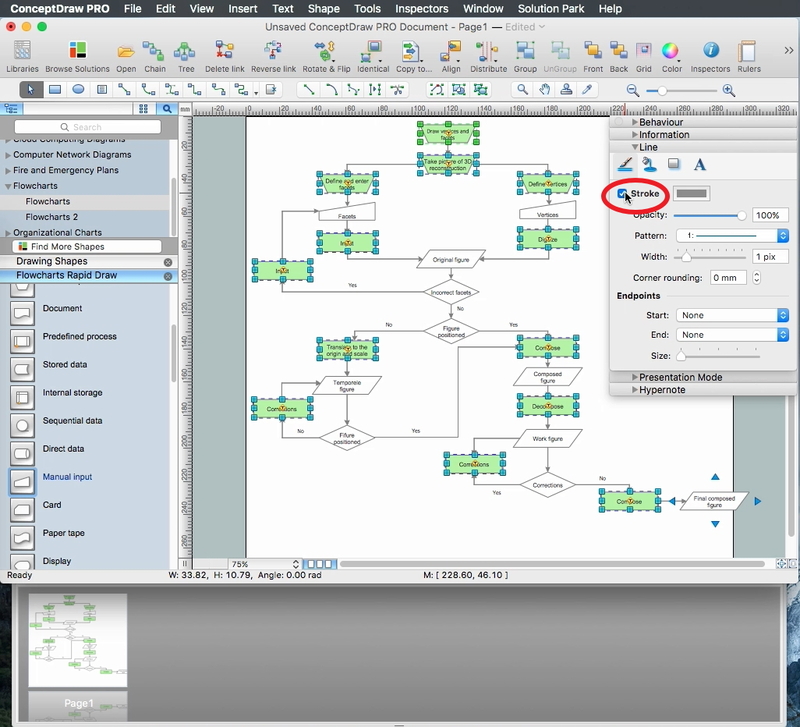 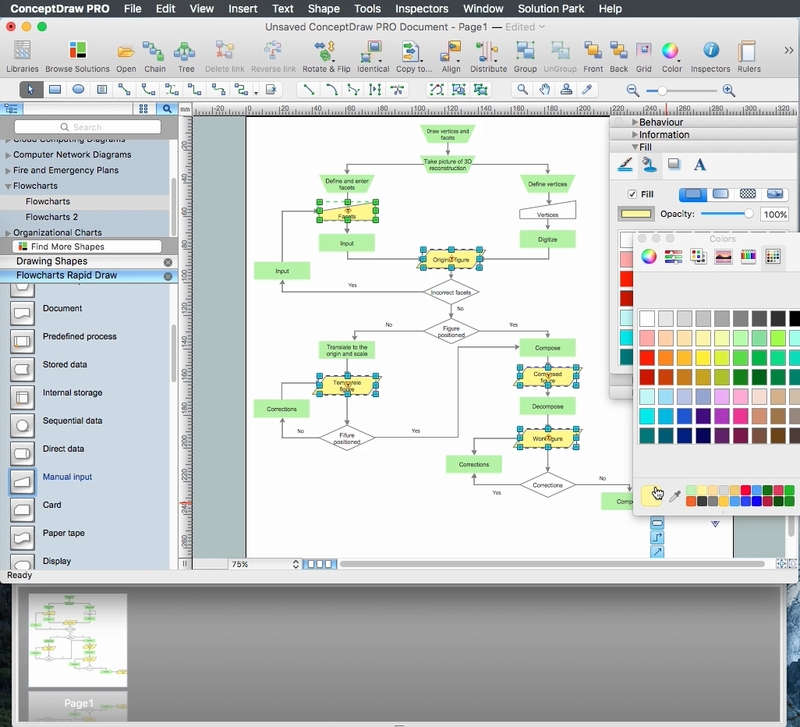 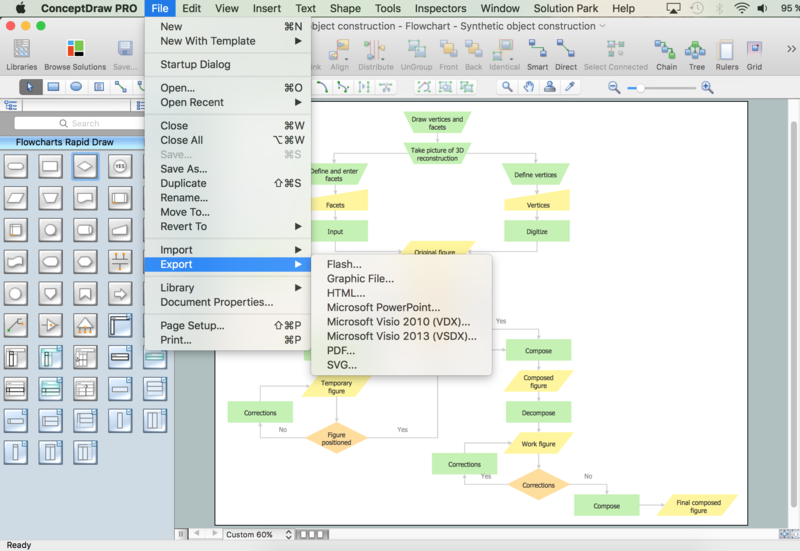 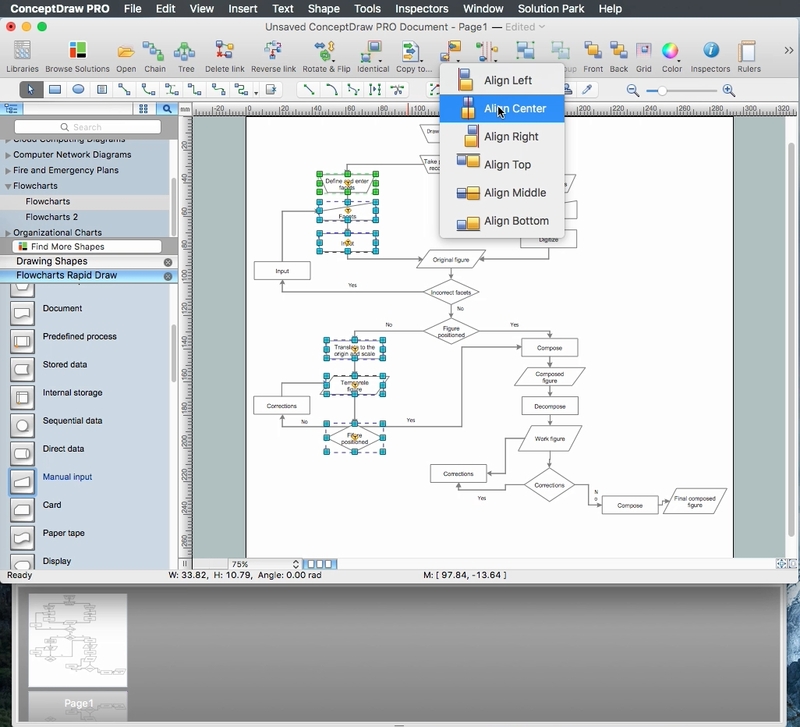 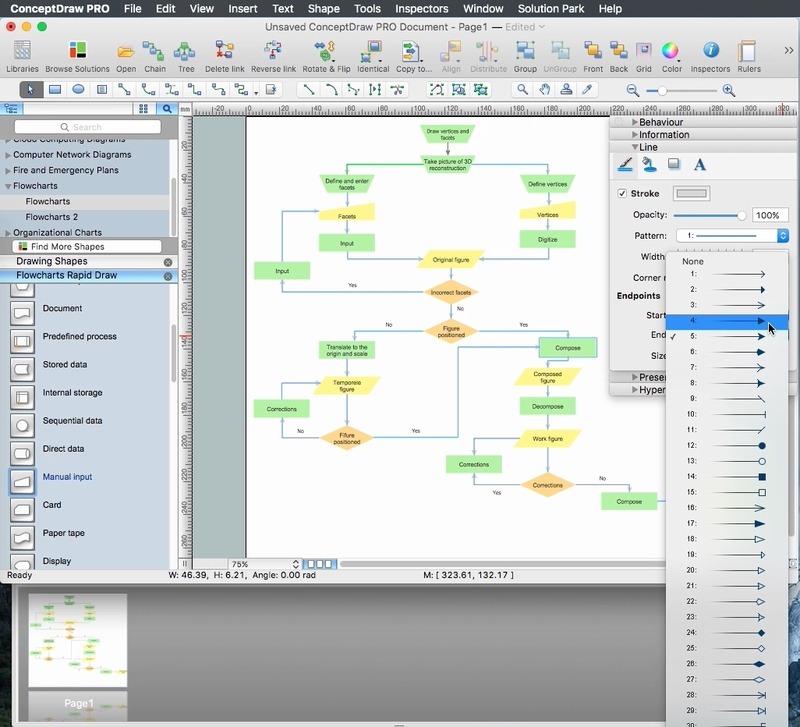 ConceptDraw DIAGRAM v12 is a professional software for building flowcharts quickly with auto-connect technology.